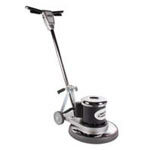 This Aztec propane floor burnisher with Kawasaki engine is a great mid-sized buffing machine. It turns your pads at 1850 RPM and can handle 29,000 square feet per hour. The low profile deck allows the user to easily burnish hard to reach area. 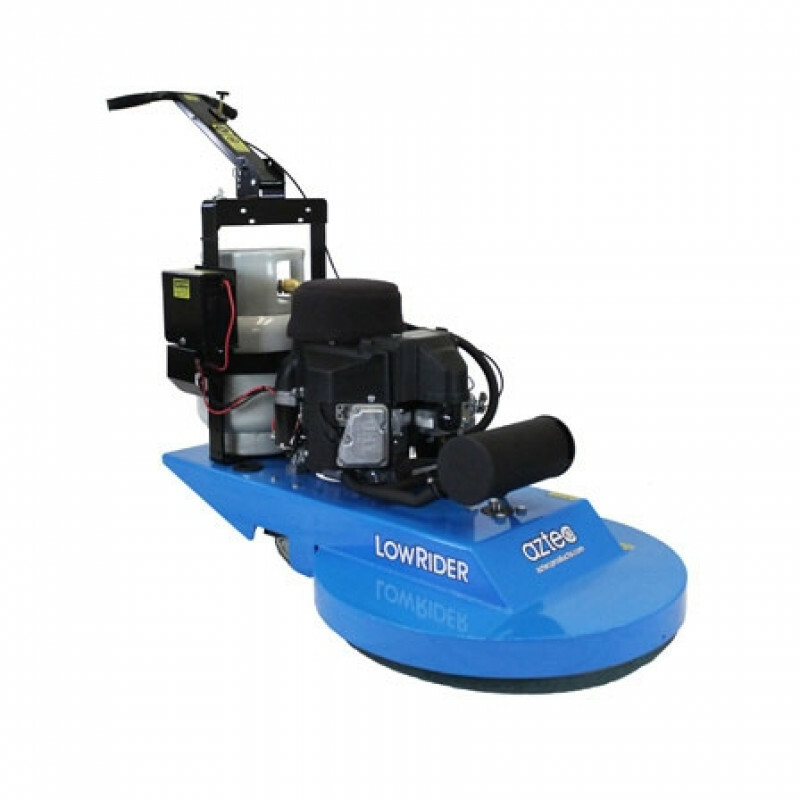 If you want a slightly smaller propane floor machine, then check out the Aztec 21" burnisher with a Kawasaki engine. Low oil shutdown on the engine helps to prevent engine damage if your oil should get too low. Also standard is an hour meter, tachometer, and safety regulator fuel system. Adjustable height handle. An easy to use handle height adjustment is standard on the Aztec propane burnisher. Having the handle set at the correct height makes the burnisher easier to control and ensures the operator a comfortable place to operate the machine. Warning: High speed propane burnisher buffers release emissions that can be toxic if inhaled! If you're in an enclosed facility where exhaust emissions will be a problem then check out our electric floor burnisher buffers, or our battery powered burnishers if you're looking for a no-emission floor buffing burnisher.